Money Network (MN) is a mobile banking service offered by First Data that allows users to keep track of their money with various money management tools. Walmart offers MN as a payroll distribution program for its associates and provides them with a debit card and checks linked to their private account. The app also has a Piggy Bank feature which allows account holders to save money for future use. To teach their associates about the importance of saving and building financial security with the Piggy Bank feature, Walmart decided to launch a short-term, internally-focused campaign. Associates were offered a $10 reward for trying the feature. The theme of the campaign was “Love Your Piggy Bank” and was scheduled to run between Oct. 25 and Dec. 2. 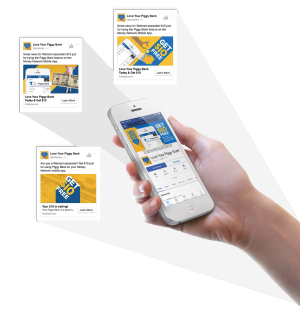 The campaign used direct mail, email blasts, intranet advertising, promotional giveaways, and a Facebook promotion to deliver the campaign messaging. All materials and channels were meant to drive Walmart associates to an online landing page where they could take the necessary steps to setup their Piggy Bank and receive their $10 reward. Blue Key Interactive was asked by a partner to oversee and execute the Facebook promotion segment of the campaign. The main focus of the strategy was to target the top five states with the greatest number of Walmarts. We then broke down the demographics of the Walmart associates in those state to fine tune our targeting and ensure that the right people would receive Facebook promotions. By focusing on these select states and using our comprehensive demographic profiles, we felt that this strategy would yield the greatest possible results. Next, we created a Facebook page for the “Love Your Piggy Bank” campaign using the branded graphics and copy provided to us by our partner. 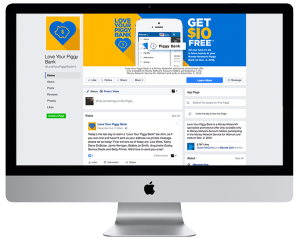 Facebook ads were then sent out to target audiences across the country to encourage them to become fans of the FB page and setup the Piggy Bank feature to receive their $10 reward. The FB campaign consisted of 6 different ads to target key audience members at select times. While ads were going out, we also made daily organic posts to the FB page to promote user interaction and timeline engagement. These posts consisted of friendly contests, helpful reminders, and fun imagery to encourage users to engage with the page. We also filtered out inappropriate comments to uphold the page’s integrity and decency. 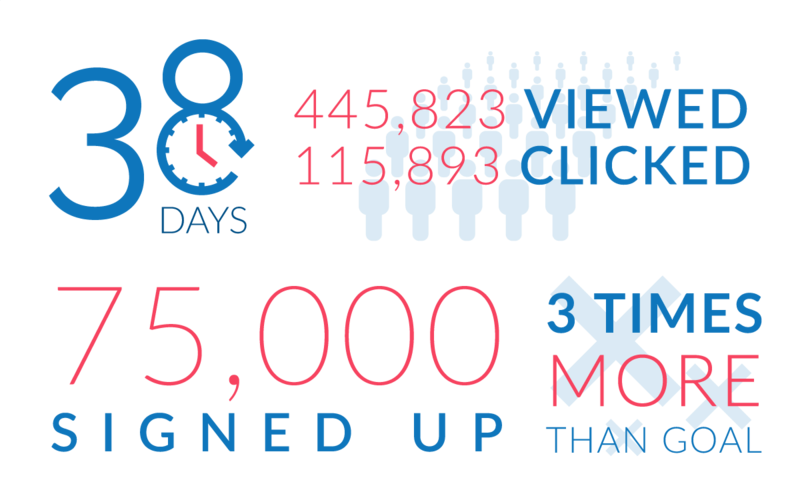 Over a 38-day period, 445,823 unique individuals viewed the Facebook ads and 115,893 clicked on them, giving the campaign a nearly 26% click through rate. 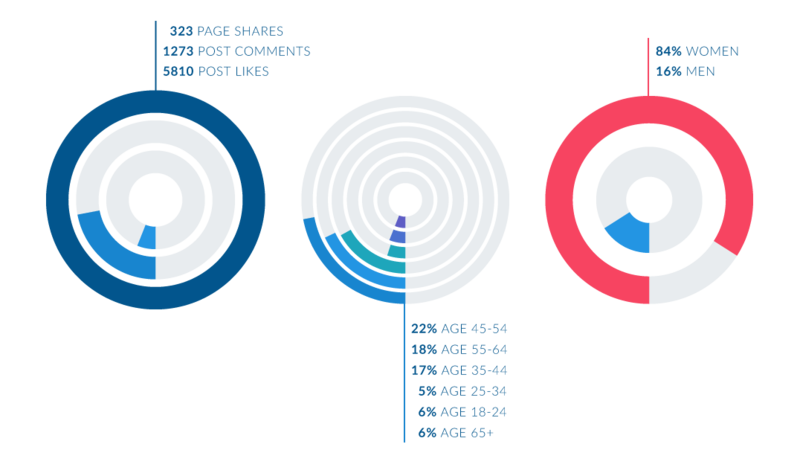 The FB page averaged 152 new fans per day, bringing the total number of fans gained to 5,786. The overall goal of the campaign was to get 25,000 MN account holders to transfer funds into their Piggy Bank by December. 2. The campaign exceeded this goal by 50,000, bringing the total number of Walmart associates who started using the Piggy Bank to 75,000. Walmart also saw a surge in participation in the MN payroll service with many associates requesting and opening MN accounts because of campaign efforts.